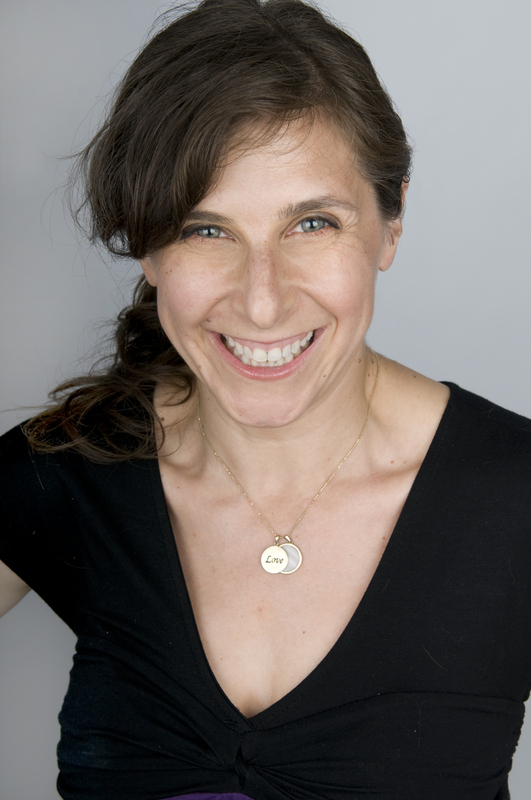 Playwright, Screenwriter, Mother, Brooke Berman Shares About Writing, Teaching, Motherhood and more | MotherhoodLater.com - World’s leading website, eZine and community for midlife moms. Other plays come from a variety of impulses and inspiration, but more than anything, they come from character and from the often idiosyncratic ways in which we narrate our own experience. I’m fascinated with the relationship between narrative and life — because they’re not the same thing — and the things that we tell ourselves about our experience juxtaposted against the experience itself. You recently moved from LA to NY. What led to that move, and do you think living elsewhere will influence your writing? I do! I never stopped identifying as a New York playwright, even when based in LA. We moved back so that I could focus on the theater, which is my first love. But also, and this is important, we both felt that we wanted to raise our son in New York City. Both sets of paternal grandparents are from here, and my favorite people grew up in New York City. You have taught writers and studied with them. Of the playwrights you have studied with, what most readily comes to mind? I studied with Maria Irene Fornes, Marsha Norman, Christopher Durang, Jon Robin Baitz and Anne Bogart. From Irene, I learned process — I learned to trust the subconscious and to rewrite in the rehearsal room. Marsha taught me how to make a play “look like a play” and how to think about and evaluate work. She also taught me patience. Anne taught me a love of process and a set of standards. Robbie Baitz taught me to read other writers and to read theory when thinking about new work. Christopher Durang taught me the patience and kindness that he brings to his own work and to his teaching – and to trust the voice. Writers who have studied with me include: Winter Miller, Steven Levenson, Rachel Chavkin, Jeanne Harris, Emily Bohannon, Lawrence Dial, Maya MacDonald, Brian Tucker, Gemma Irish, Micheal Alperin, Stephanie Carrie, Christopher DeWan, Brie Barton, Emilie Beck and many, many others. I have been teaching since 1998. How does being a mom influence your work? I have much less time in which to do it! But because of this, I have to be project oriented and very, very precise. Is it more challenging now that you are a mom to make the time for creativity? Absolutely. But I steal time whenever and however. And I let my social life suffer. You wrote a piece included in MOTHERHOOD OUT LOUD that played at Primary Stages in NY and is now being produced worldwide. Was that piece based on your own experience? Yes! It was absolutely based on my own experience. When my son was roughly 4 months old, his father (and then him and then me) got a cold and I took to camping out on the carpeting in the baby’s room. Sleep has always been an issue for us. And the transition from being a single, career-identified woman to a mother was HUGE for me. I mean, huge. I really had no idea who I was for the first six months of my son’s life — or, really, until I started working again. I’m someone who really just needs to work. What do you see as the positives and challenges of having a child at age 35 or over? I couldn’t have handled motherhood in my 20’s or 30’s. I needed time to develop and grow before I handed my autonomy over to another human being. I’m so grateful that I waited! Has anything about being a mother surprised you? As ridiculous as it sounds, I had no idea how intensely and fully I would love my child. I mean, sure, I knew I’d LOVE him. But like this? No way. Did I even realize that this kind of love was possible between human beings? Nope. The love is the greatest surprise and the greatest reward. When I was growing up, my mother and grandmother would both say “I love you with my life” and I had no idea what that meant — it sounded very dramatic and a bit abstract. But now, I know. I know. What do you most want to teach your child, and what have you learned thus far from him? I want to teach him to trust himself. I want to teach him compassion and good manners. And I want to teach him self-reliance. From him, I have learned great, great patience. That everything passes. I’ve learned to pick my battles (Yes, you can wear your pajamas all day. No, you can’t get up and drum at 3AM.) And because he is even more stubborn than me, I’ve learned new negotiation tactics. What influence, if any, has your own mother or father had in your life and in your parenting? I didn’t really know my father — he and my mom split up when I was my son’s age, and he died a few years later. But from my mother and her parenting style, I learned the importance of play. My mom was really playful and when I was a small child, she baked cookies and got on the floor and played dress-up and read stories and indulged me in and supported most anything dealing with the imagination. Where do you turn for support as a mom? How important is to connect with mom peers? When my son was about 8 weeks old, I joined a Mommy and Me class at the Pump Station in LA. A few of the women – mostly those of us who lived in Silver Lake and Echo Park — stayed in touch and began to meet every Friday afternoon for wine and cheese playdates. The kids played. The mommies ate and drank and commiserated (we were all so sleep deprived!) I could not have survived the first two years of my son’s life without these women. And even though I’ve moved away, they continue to be my core support team. We email each other, call each other and so on. they keep me sane. And I love them so! Jackie Heinze, Aubrey Siegel, Dena DeCola, Jeiran Lashai (who is also our go-to medical authority), and Inga Kleinrichert. What words of wisdom would you most like to share with others contemplating becoming a parent, particularly if they’re 35 or older? Just do it. It’s really so wonderful. But don’t do it until you’re ready. There’s no rush. When you became a mom, did your own mother or father share any particular sentiments or advice that really resonated? Or do you recall anything from your own upbringing that really stuck with you that you’d like to pass on to your children or other parents? My own parents had both died by the time I became a mother. But my 93 year-old grandmother, Ida Lucas of Detroit, MI, has been a great support and comfort. When I was contemplating whether or not to try to get pregnant, I asked her if she thought motherhood was an important experience. “Experience! ?” she repeated some disdain, “It’s not an EXPERIENCE, Brooke, it’s a responsibility! Forever!” and then, when I had my son, she said, “From here on out, he’s the most important thing.” And she was right.